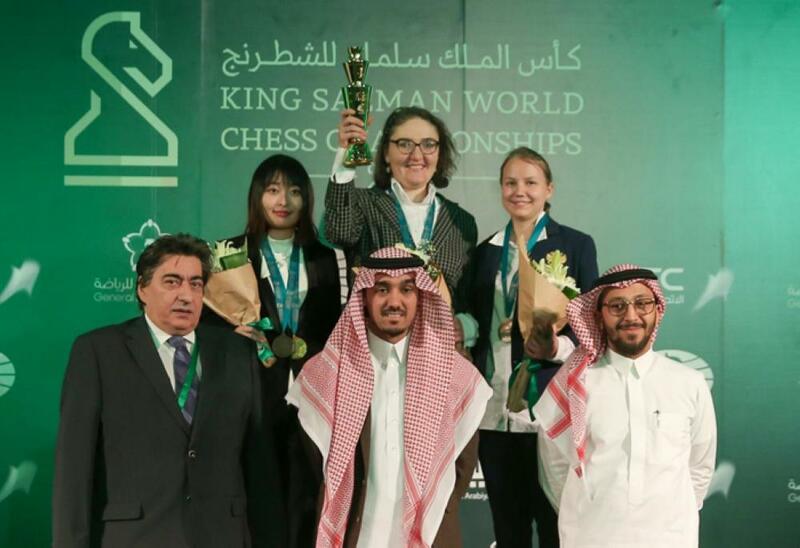 Riyadh — The King Salman World Blitz Chess Championship concluded in Riyadh on Saturday night with Magnus Carlsen (Norway) and Nana Dzagnidze (Georgia) emerging convincing champions of their respective section. After the first day of the championship Magnus Carlsen trailed full two points behind the leader and 2016 champion Sergey Karjakin. However, the impressive winning streak on the second day, where he conceded only two draws in 10 games, put Carlsen ahead of the field and he secured the title with a round to spare. 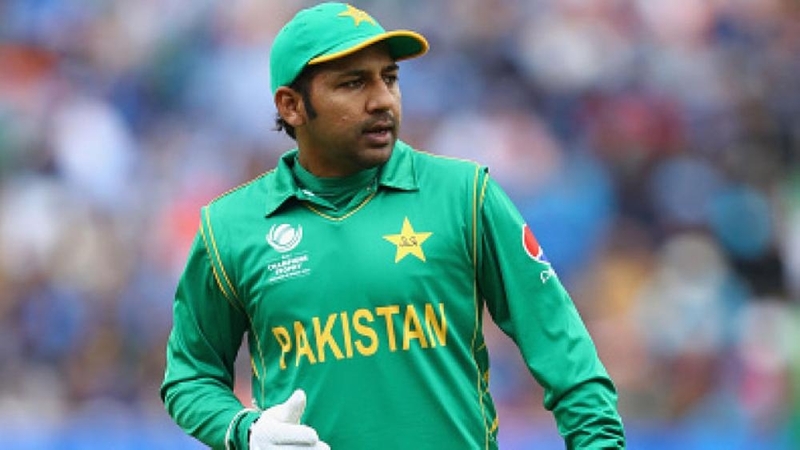 His total score in the end is 16/21 points. Point and a half behind the champion are Sergey Karjakin and World Rapid Champion Viswanathan Anand. Karjakin took the silver medal on better tie-break, but the prize money will be shared. 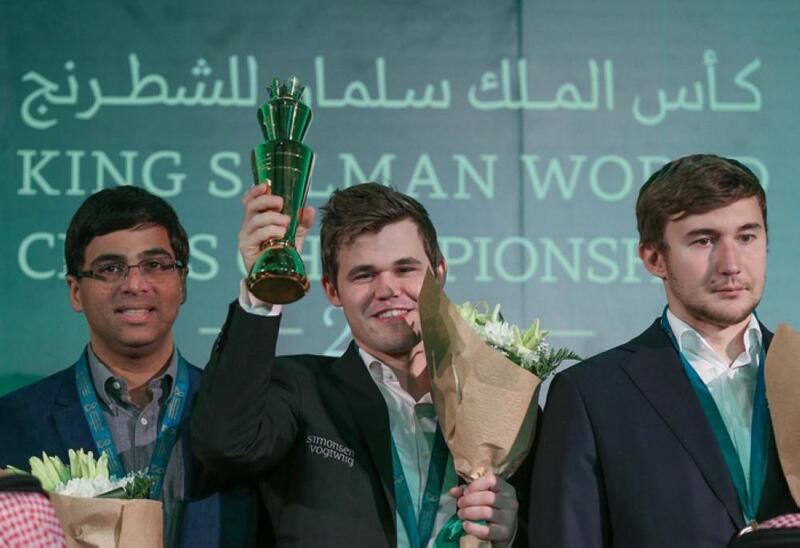 This is Carlsen’s third world blitz title, having previously won in Moscow 2009 and Dubai 2014. Nana Dzagnidze repeated the strong performance from the first day of the Women’s Championship, and with Pia Cramling’s misfortune, this was sufficient for the clear first place with 16,5/21 points. The powerful finish of five straight victories lifted Valentina Gunina to the second place half a point behind the winner. The rest of the field remained far behind. Ju Wenjun and Kateryna Lagno shared the third place with 14 points each, but the Rapid Champion Ju claimed the bronze in blitz thanks to the superior tie-break.